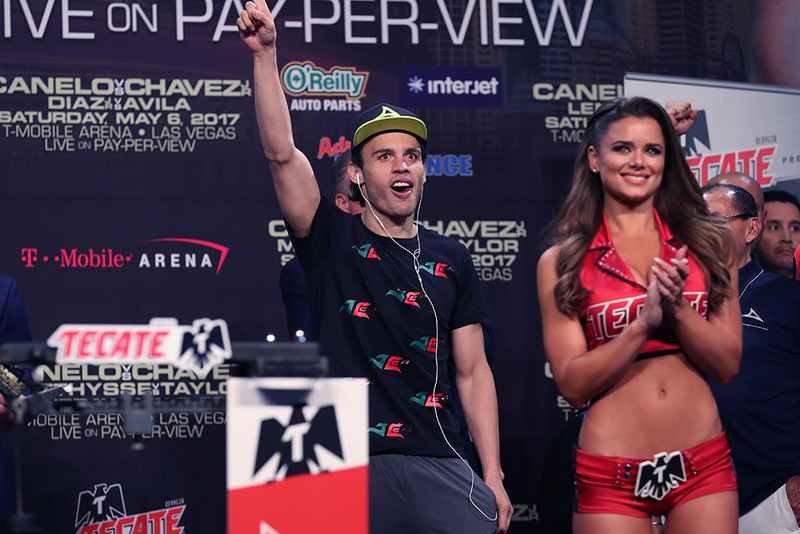 There were plenty of eyes trained on Julio Cesar Chavez Jr. on Friday as he stripped off and prepared to step on the scale in front of several thousand fans at the MGM Grand Garden Arena. One of the big, hitherto unknown, variables in the build-up to his Saturday contest with countryman Saul “Canelo” Alvarez was the physical condition of Chavez, who once fought at middleweight but of late has been fighting at roughly 10 pounds above that division’s weight limit. 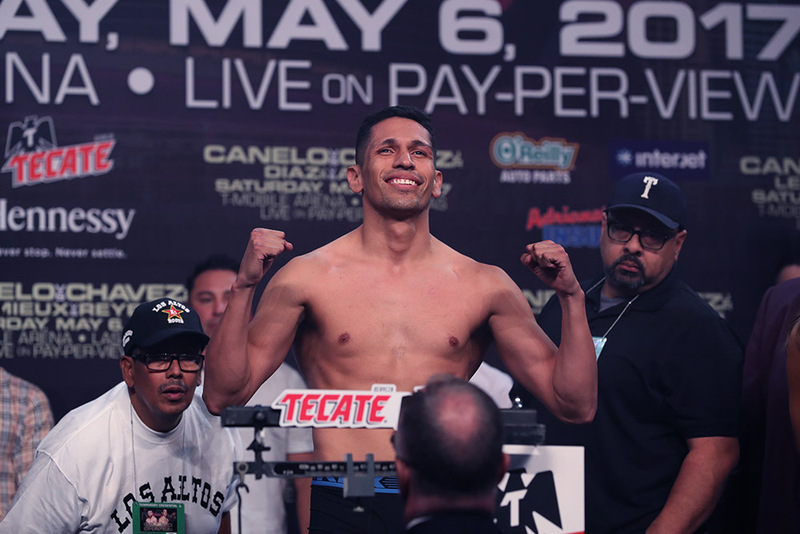 Would he, the notoriously undisciplined bigger man, be able to force his lanky frame down to 164.5 pounds, the contracted catch weight for this battle for Mexican bragging rights? As it turns out, he would be able to and indeed he did, with half a pound to spare. Chavez didn’t look great: His cheeks were positively sunken and his whole body looked somewhat drawn, but he didn’t look on the verge of imminent collapse, either. He will doubtless have been grateful for the water and protein shakes that he is likely downing as you read this, but there’s no reason to disbelieve his camp’s assertion that he will rehydrate and gain perhaps 20 pounds by the time of the fight. That will likely leave him with an advantage of 10-15 pounds over Alvarez, who also weighed in at 164 pounds, confidently shedding his shirt as he marched toward the scale and looking, in contrast to his rival, taut and toned. The weigh-in and the subsequent face-off elicited raucous roars from the assembled throng, and if the atmosphere on the day before the fight is any guide, fight night itself is going to be an electric experience. It is anticipated that the capacity crowd inside the T-Mobile Arena will be the largest ever to watch a Las Vegas fight at an indoor venue, and outside of the media section, it is hard to believe that there will be more than a handful of neutrals in the entire building. The festive mood is divided evenly between partisans who are either solidly pro-Canelo or resolutely pro-Chavez. There is an immense amount at stake for both men on Saturday, with each man seeking to forge an undisputed claim to being the country’s boxing lodestar, and neither able to stomach the notion of losing to a hated rival. The smell of victory will be sweet, the prospect of defeat unthinkable. This is more than just a fight; it is a battle between glory and shame.